The Ultimate stopping power for your tall spindle car. This brake kit works with the popular f-body and b-body spindle. A fully bolt on kit. Corvette PBR Calipers with an internal drum parking brake. This setup allows you to run a deep offset wheel and still have a parking brake. 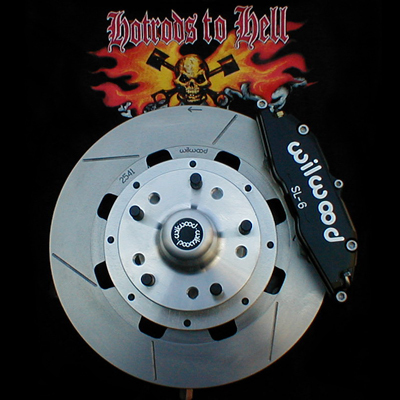 Rotors are offered cross-drilled and slotted, or solid.